The battery powered remote security cameras, without the need to run wires, can serve you best for your storage units, farms, ranches, rural empty properties, your grandparents’ house, boats at the pontoon, construction sites, etc. Whether you have Internet access or not in your place, there are always options for you to stream remotely via the wireless battery powered remote CCTV security cameras. This is the question perhaps most of you have in mind. So first thing you’ve got to understand: how do the battery control security cameras with remote viewing work? Once your battery powered surveillance camera for remote viewing is set up, the only requirement is Internet access. After the videos are captured by the battery operated remote cameras, the data then will be transferred over network to your phones or computers. So you are able to watch the live viewing remotely via your iPhones or Android phones. What if there is no network in places where you want to install the battery powered remote security cameras? Here are the handy solutions that can solve your problems. As the demand for wireless battery powered remote security cameras that can work without Internet rises, a few renowned security camera providers have released the battery powered cellular remote security cameras with SIM card that can work without network. 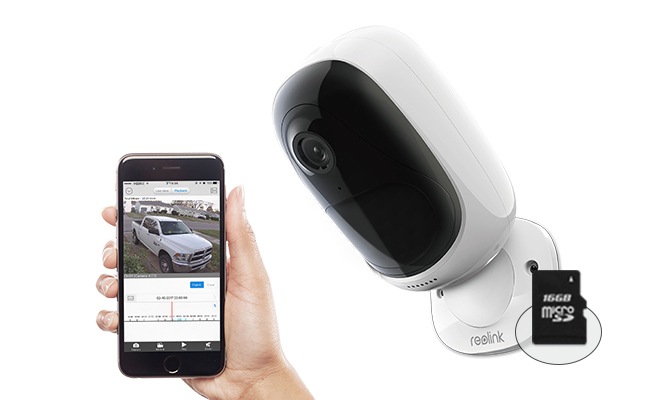 Reolink, as the innovator in home security solution, has also released its first 4G battery powered security camera for remote viewing. By utilizing the 3G and 4G LTE mobile networks, this battery powered remote CCTV security camera Reolink Go provides an independent security solution for areas with limited or no WiFi network and power, such as your barns, farms, ranches, construction sites, vacation homes, campsites, etc. What’s the alternative option for the battery operated remote cameras to work without Internet? Maybe you can consider sacrificing the feature of remote viewing. By virtue of a battery powered remote security camera with an SD card (slot) and motion detector, you can still monitor your remote upstate house, neighborhood pool, clubhouses, and storage units. Once motion detection is triggered, the battery operated remote security cameras will save videos locally to the SD card. And you can take it out to check what had happened at your convenience (or play back the videos via the smartphone App if you have Internet access). Don’t worry, though, that the remote battery powered security cameras with SD card might be stolen. You may choose a hidden battery operated remote security cameras and back up the footage regularly to your computer or on the cloud storage. Bonus: If you want to stream battery powered remote security cameras from afar and have no WiFi connection nearby, you can use your cellular data as a hotspot to access the camera remotely. 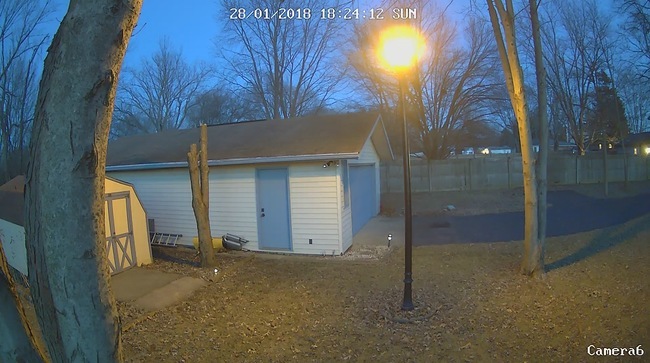 If you have access to the Internet connection, it is indeed quite easy to watch the battery operated remote cameras using the Internet. 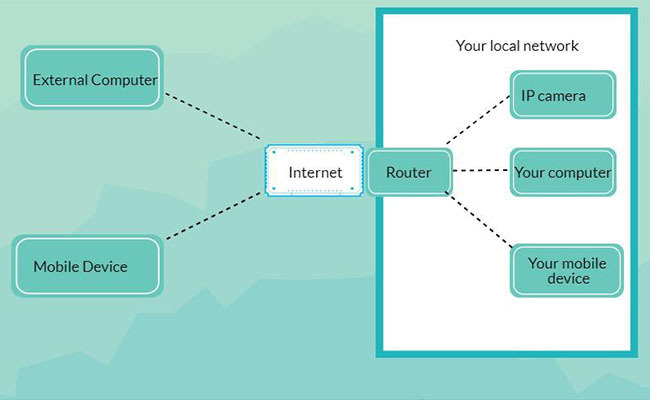 But what factors should you consider for a smooth remote streaming? The easiest and most convenient way to stream videos remotely is via the battery powered remote security camera free software. With the manufacturers’ free App that is totally customized for your wireless battery operated remote CCTV security cameras, you will neither need to pay the money nor meet any compatibility issues. Just login the app for your battery security camera with remote viewing, then enter the unique ID number (UID) and you are free to watch the live feed remotely on your smartphone. Though some battery operated remote security camera providers may offer you the option to watch live viewing remotely on your laptop, mac or web browser by port forwarding, it is not recommended for you to do so. If you accidentally forget to log out the computer Client or close the remote viewing web page, your battery powered remote security camera can run out of juice soon and fail to work when you need it most. Takeaway: Learn the detailed procedures about how to watch security camera live viewing remotely. Crystal clear images, smooth video streaming, easy set-up and access – these are perhaps what you expect most from the battery powered remote security cameras. Now learn what factors you should consider for an optimal experience of wireless battery powered security cameras with remote viewing. Imagine this: your battery operated remote camera sends you security camera push notification on your phone and then you log into the App, only to find fuzzy pictures and you cannot even recognize the human faces. Then you will regret not having installed a battery powered remote home security camera with high resolution. That being said, it is not always best to choose the highest resolution mode for the battery powered security cameras with remote viewing via software. In places where the network is not stable, you may need to switch to a relatively lower resolution, so that you won’t get lagging or choppy videos. So the key is that you need to select the most suitable resolution that works for your situation to watch the battery powered remote security cameras. Great night vision of battery powered remote security cameras is also conductive to a superior live viewing experience. The longer IR range the remote battery powered security cameras have, the wider you can see clearly at night via the outdoor battery operated security cameras for remote viewing. That isn’t to say, though, it is always better to have an indoor/outdoor battery operated remote security camera with long night vision distance. It all depends on your specific needs, like the areas you need to monitor and etc. The good news is that, some highest rated battery operated remote security cameras, like Reolink Argus® 2, are even featured with starlight night vision, enabling you to see objects in true color with more visible details day and night. Takeaway: Check out what factors to consider before buying battery powered security cameras with night vision. As noted above, the easiest way to watch the remote viewing of battery operated remote cameras is to use the manufacturers’ App. If you have multiple cameras for your home or business, you can also manage them simultaneously via the App for battery powered remote IP security cameras. For example, your parents out of the town are also able to watch your kids playing on their phones via the battery powered remote security camera. Also, the battery powered remote CCTV security cameras with free and intuitive smartphone App can send you low battery notifications or reminders about improper usage. In the above part, we have mentioned that stable network is required for the smooth streaming of battery control remote security cameras via your Android phones or iPhones. The network speed of both places where your cameras are installed, and where you access the cameras remotely, will impact your remote viewing effect. Unstable and poor network could lead to lagging and slack videos when you access the battery operated remote cameras. More importantly, it will also accelerate the battery power consumption. After comparing the battery powered remote security cameras on the market for sale and reading customers review, here we select three best battery operated security cameras for remote viewing. Black Friday Deals: Both of the battery powered remote security cameras recommended below are on BIG sale for this Black Friday and Cyber Monday (from Nov.22 to 27 PST). And you can save up to 15% to get these cost-effective options. As noted above, the 4G/3G battery powered remote security camera Reolink Go can work almost anywhere indoors & outdoors, without the limitation of WiFi connection and power source. Operating on the 3G/4G LTE network, this remote battery powered security camera with SIM card allows you to watch live streaming anytime & anywhere on your smart phone. It is packed with a rechargeable battery that can last up to months in standby mode. And you can also add a Reolink solar panel to provide non-stop power for the cam. 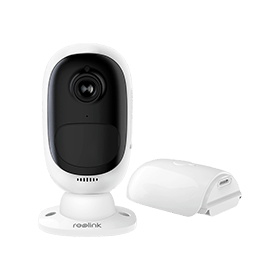 In virtue of the 1080p Full HD and starlight night vision, Reolink Go can deliver clearer images and videos even in total darkness (up to 33ft). Below is a video shared by a test user of Reolink Go. 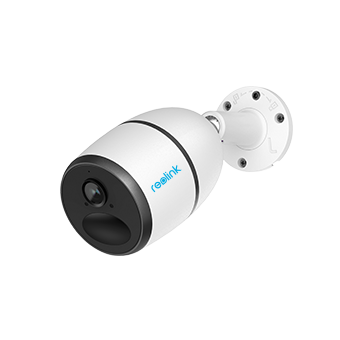 As with its predecessor Reolink Argus®, this outdoor wireless battery powered remote security camera Reolink Argus® 2 also features easy remote viewing on your smart phones & computer with Internet access. Even though there is no Internet connection, Reolink Argus® 2 can also record motion detection events onboard and you may take out the SD card (not provided) to play back the footage on your computer. What sets this battery powered security camera with remote viewing from other competitors is its starlight night vision which contributes to more visual details in low-lit conditions and the flexible powering options. It also comes with a rechargeable battery and offers you to option to buy a separate Reolink solar panel to work with it – quite money saving and eco-friendly! Relying on its compact design and protective skins, it can easily blend into the exterior environment and serve as hidden battery powered remote viewing security camera. Below is a video shared by a real user of Reolink Argus® 2. If you want to buy a best and affordable battery powered remote security camera in US, UK, Australia, Canada, France and etc, then these two cameras are the ones you should never miss. Still have problems about the battery operated remote cameras? Leave a comment below to let us know! This entry was posted in How-to Guide and tagged battery security camera, remote viewing, remote-site surveillance, steam live feed.